Leddy Library has begun its exam hour period. 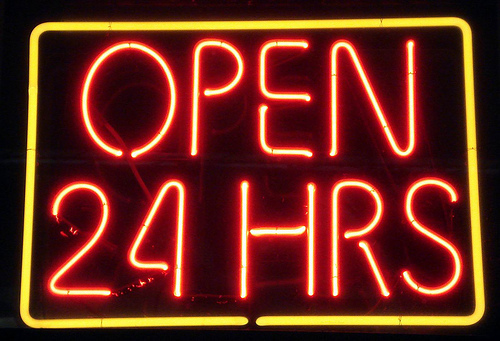 As such, we will be open 24 hours / 5 days a week until Tuesday, December 17th, when the library closes at midnight. The library then will be CLOSED from Tuesday Dec 24th through to January 1st, 2014. Then we open in 2014 first with our holiday hours, from Thursday, January 2 to Sunday, January 5, 2014. And then the Winter Term begins and we're back at regular hours starting on Monday, January 6th. But before then we have to get through exams! Good luck everyone! You can do this!